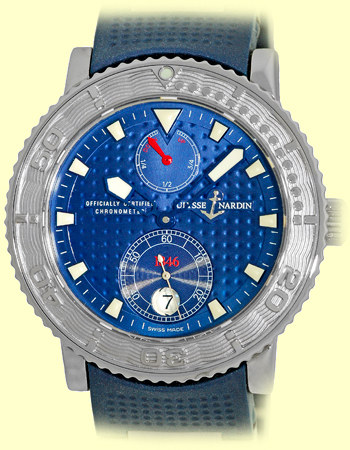 Limited Edition Gent's Stainless Steel Ulysse Nardin "1846 Maxi Marine" Automatic Chronometer. 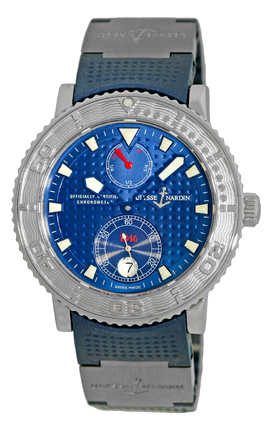 Blue Waffled Dial with Luminescent Hands and Hour Markers, Subsidiary Second Hand, Date Indicator, Power Reserve Indicator, Sapphire Crystal. 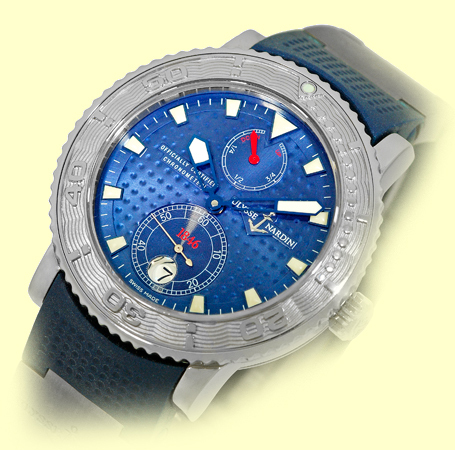 Stainless Steel Rotating Diver's Bezel with Embossed Arabic Numerals. 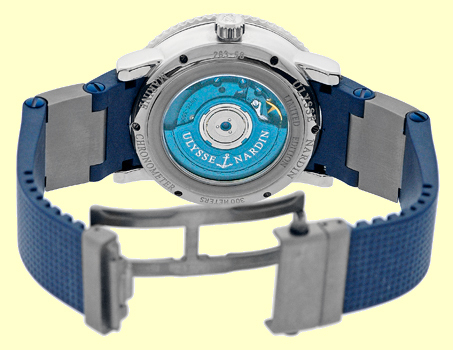 Ultra-Durable Blue Composite UN Strap with Titanium Inserts and Ulysse Nardin Titanium Push Button Dual-Deployant Clasp. Handmade Swiss Chronometer Certified Automatic Movement Visible Through Sapphire Exhibition Caseback(Calibre UN-26). 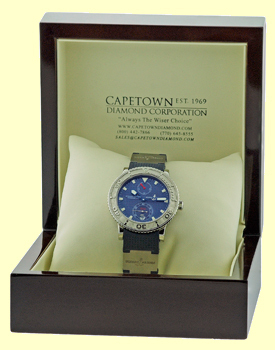 Like New, Perfect Condition with Wooden Presentation Box and complete with Capetown's Lifetime Warranty! !